Begin with this high quality bath accessories set. 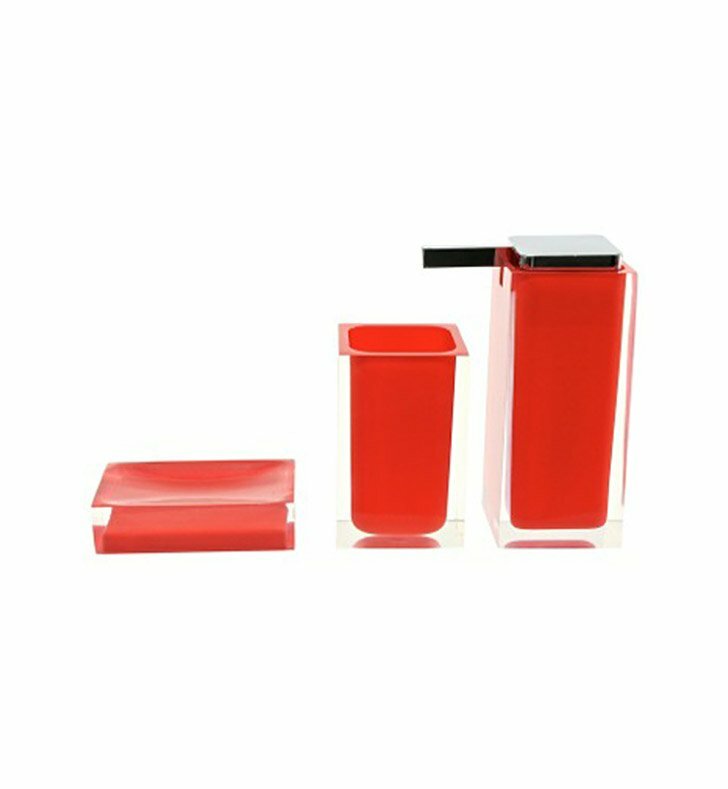 Free stand and available in red, this thermoplastic resins accessories set perfectly compliments a contemporary master bath. Designed and made by Gedy in Italy. From the Gedy Rainbow collection.